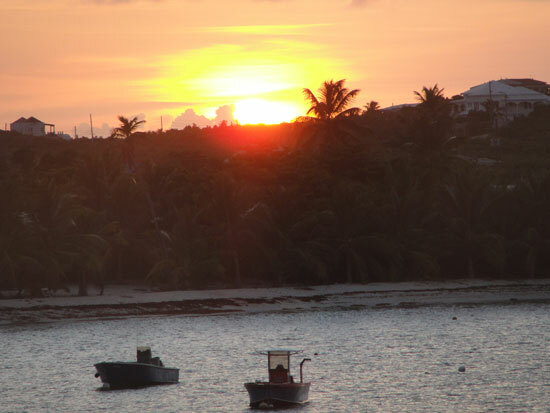 Island Harbour is one of Anguilla's fishing villages. 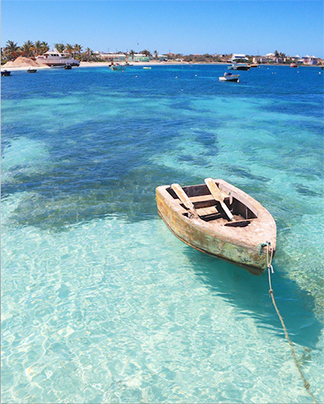 It is a quiet beauty and is home to generation upon generation of Anguillian fishing families. Island Harbour is exactly what you would imagine a small fishing village to be. 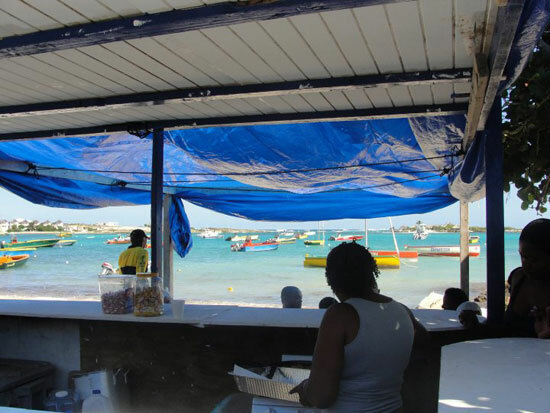 Sandy Ground, another well-known fishing village and Island Harbour's flashier cousin, has a little more to offer tourists. 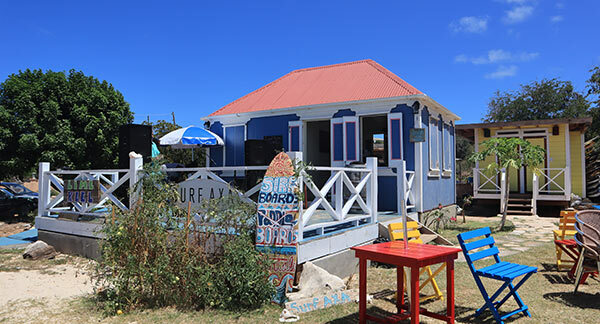 At Sandy Ground, there are plenty of restaurants and of course, it is the spot for nightlife in Anguilla. Island Harbour is quieter, and almost completely dedicated to fishing. First, the sheer beauty of Island Harbour is worth the trip "out East" if you are staying in the western end of Anguilla. Second, Island Harbour has very authentic restaurants worth sampling as well! Third, Island Harbour has charming, hard-working people. 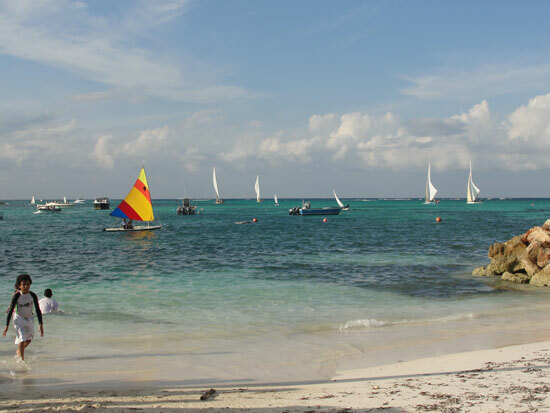 If you chose to spend part of your day strolling the beach area and getting to know some locals, you are likely to not be disappointed. For some, there is peace to be found, sitting and watching the fisherman come and go. 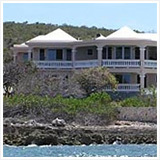 Island Harbour is on the northeastern side of Anguilla. 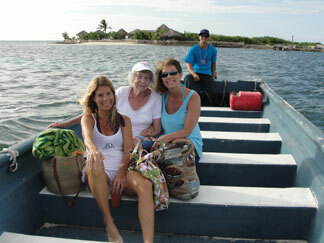 If you are traveling from the west, note that Island Harbour is one of the last pockets of civilization. In other words, it is the door to the far eastern end of Anguilla which is a more barren, rockier terrain, spotted with a few homes here and there. The eastern end provides plenty of hiking and exploration. You can read about Nori's Windward Point hike, here. And Nori and Louise's Scrub Island adventure here. 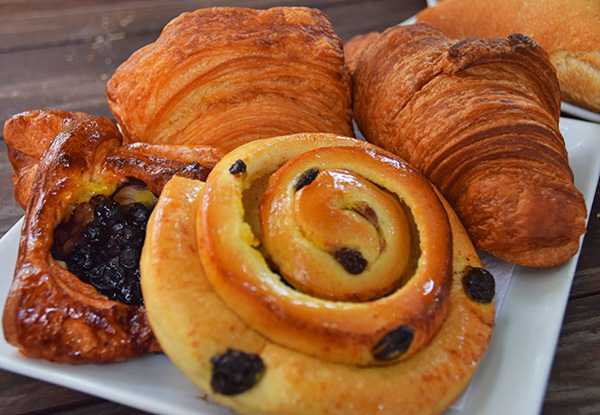 Special Tip: If you plan to hike the eastern end, stop in Island Harbour first and load up on some drinks and pastries :-) Island Harbour is home to some of the best pastries on the island... Le Bon Pain! 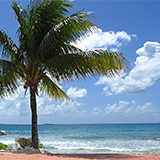 Le Bon Pain is not on Island Harbour's beach. 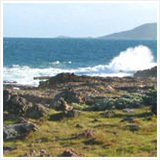 It is East of the beach, towards Shoal Bay. They are open most weekday mornings (except Tuesdays and Wednesdays, depending on if it's the off season or high season). Yvonne (the owner) makes the best croissants and "pain beurre" (baguette lathered in a creamy butter). 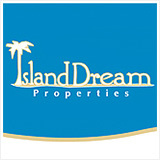 It is a destination for many locals and tourists and is consistently good. 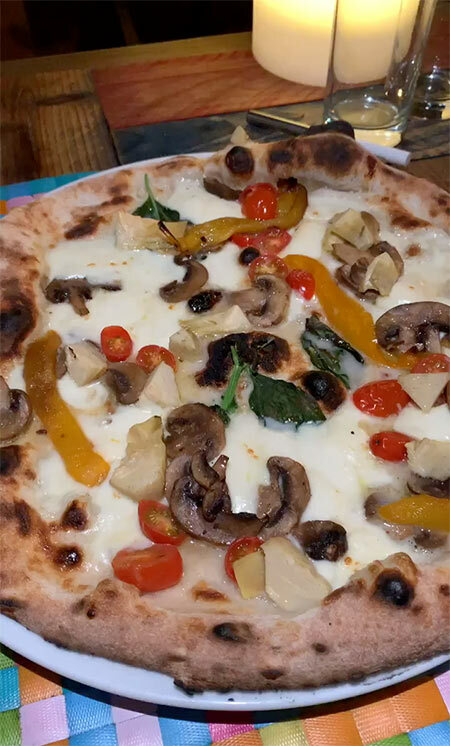 In addition to Le Bon Pain, Artisan makes the best pizza on the island. It is not on the beach. It is just near Le Bon Pain. Like Le Bon Pain, it is a must visit. The flavor is out of this world! Now that we are in Island Harbour, let's park and begin our walk! Park on the eastern side of the wharf, on the sea side. Since the beach isn't too long, let's start our walk at the wharf. 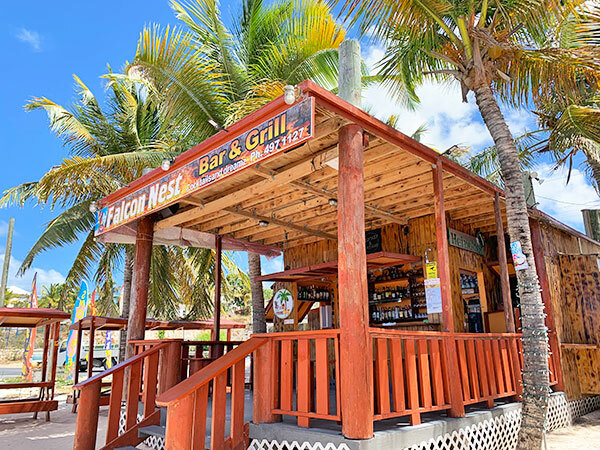 Right next to the wharf is one of the best deals for seafood in all of Anguilla, Falcon Nest. So close to where fishermen haul in local catches, it is no surprise to find such outstanding fresh fish at Falcon Nest. Mahi, snapper, lobster is available at a reasonable price. 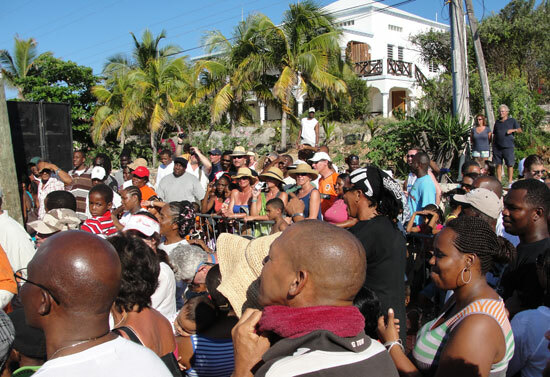 Speaking of seafood, Festival del Mar is an annual Anguilla event. It is held Easter weekend and it takes over Island Harbour. The sleepy fishing village wakes up and celebrates every aspect of their beloved sea. Starting late morning you can feast on johnny cakes, fried jacks, and bush tea. Over the weekend there are boatraces, fishing competitions, solider crab races for the kids, plenty of fresh seafood, and honest good times. Many people are coming and going from the wharf. Island Harbour is like Grand Central for this one weekend celebrating the sea. 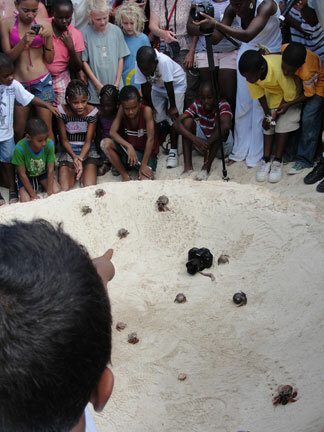 More on Anguilla's Festival del Mar. Just a few more yards up the road from the wharf, heading east is the newer restaurant called Lime Keel House. 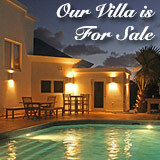 It is a charming West Indian cottage owned and operated by the Lloyd family. 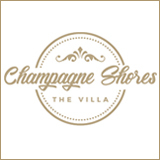 Open with live music on the weekend, it has the most fun vibe in town come Friday night. Across from Lime Keel House is the long-standing and beautiful restaurant called Hibernia. It's a higher end establishment and worth investigating. Much beyond Hibernia and we are moving out of the Island Harbour area. Ah yes... Island Harbour. I don't think the vibe and the character of Island Harbour could be duplicated anywhere in the world. 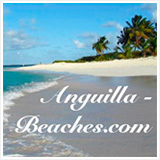 It is historic, unique, and home to hard-working and fun-loving people and some of the most authentic dining spots in all of Anguilla. Whether you lounge quietly on the sand (on a non-Festival del Mar day ;- ) or take in a meal at Le Bon Pain, Artisan or Lime Keel House, you will experience a unique flavor of Anguilla, and what makes this Anguilla beach and harbour so sweet. 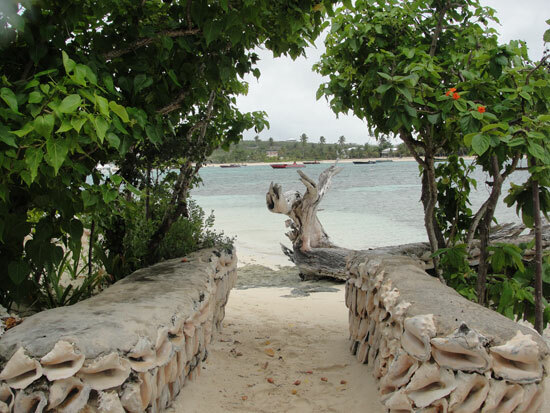 Arawak Beach Inn: The western end of the harbour is lined with the pretty little cottages of the Arawak Beach Inn. 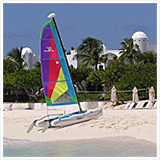 I recently met a first time visitor to Anguilla who is a kite surfer, and visiting from Hawaii. The view from The Arawak is wide open and spectacular and the breeze is nice too. Your host there, Maria, with her easy-going nature combined with the convivial atmosphere of the tiny bar/restaurant make this a "hidden gem" to remember when you're in the area. Whether it's quick hotdog for lunch to fuel your walk, or a special trip for Maria's famed Sunday roast beef, the food is good and the price is right. Island Harbour on a busier day. As you walk toward the east from The Arawak you will find . It is a fine, fine spot for a dinner. The Italian beachside restaurant sits right on the sand and the sound of the sea fills your ears as you sit back, relax, and enjoy. 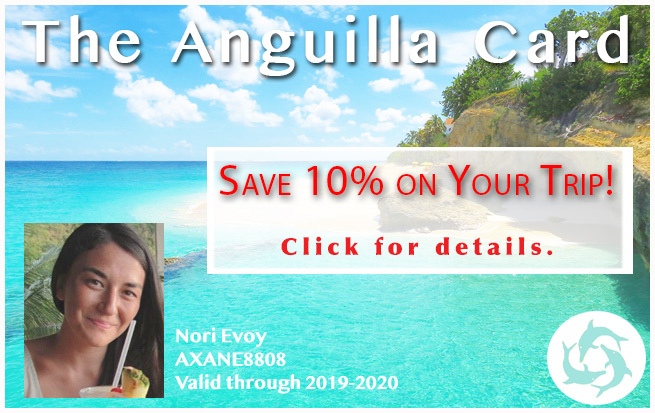 As you make your way past Elite and on around to the main sandy area of the beach, you will be standing exactly where the bulk of the activity takes place for Anguilla's Festival del Mar. 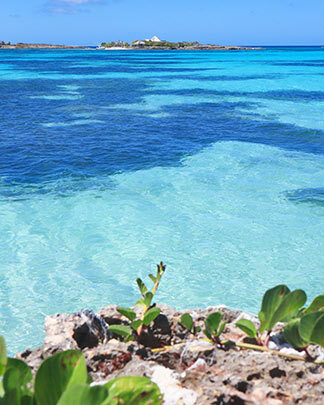 As you stand on the wharf at Island Harbour, Scilly Cay is the spit of land mostly straight out. But what is Scilly Cay? It is an electricity-free restaurant offering the freshest, yummiest food, owned and run by a local family... the Wallaces. The Wallaces are extreme in their genuine hospitality and lovely to be around. Many high-profile celebs love their company, too! Interested in going over there for lunch? Walk to the end of the wharf and wave your arms. 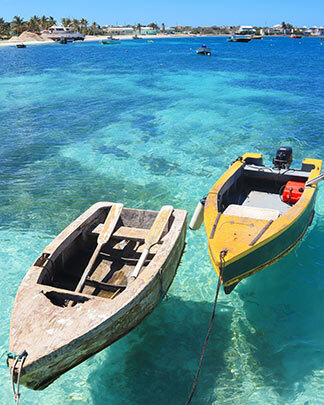 A little boat will be along shortly to scoop you up and tote you over to the idyllic little isle. 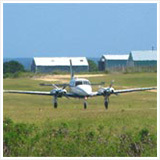 Scilly Cay is open on Wednesdays and Sundays for lunch. It's not a cheap adventure but it still is a very good value. Why? You can spend most of your day there, so you are paying not only for amazing fresh food but for your entertainment for the day, as well. They greet you with a rum punch (a favorite rum punch of many), you place your order, and relax and enjoy. You can bask in the sun, take a dip in the sea, dance to the music, or snooze on a lounger in the shade. Having crayfish, lobster, or snapper? You should know that the good people of Scilly Cay have literally just brought in your lunch from the sea, unless you order the chicken. The Island Harbour fishermen hand deliver their catch to Scilly Cay and you can watch it being grilled. They also serve chicken and you can order combinations of all of the offerings. The sides are almost as good as the main course. The presentation is remarkable and the taste of the food holds my vote for some of my favorite on the island. Tip: Go around noon and hang out until around 4pm. Bring some cards or dominoes, a hat, sunscreen, a towel, and snorkel gear if you have it. 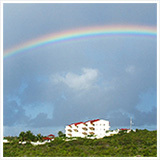 It is a lovely day and a spot very unique to Anguilla. The wharf is at the end of the sandy stretch of Island Harbour but there is still more to Island Harbour. 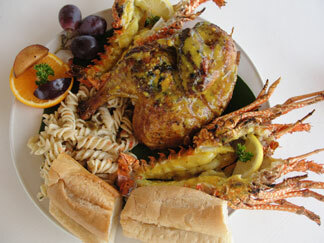 You can read more about On Da Rocks in Island Harbour Anguilla and their $5 crayfish, here.